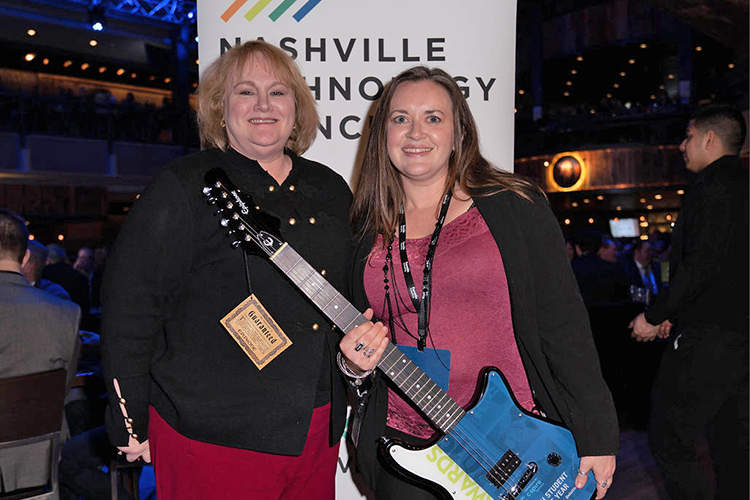 MTSU’s 2019 Black History Mont..
NASHVILLE, Tenn. — An MTSU professor and a recent graduate were among the top honorees at the recent Nashville Technology Council Awards ceremony recognizing top achievers within the Midstate’s growing tech community. Dr. Amy Harris, an associate professor in the Department of Information Systems and Analytics, received the advocacy organization’s first Champion of the Year Award, while December graduate Holly Yasui captured the Student of the Year Award. Voted on by NTC staff, the new Champion award recognized Harris for efforts such as helping establish a partnership between MTSU and NTC to research the area tech workforce in more depth. 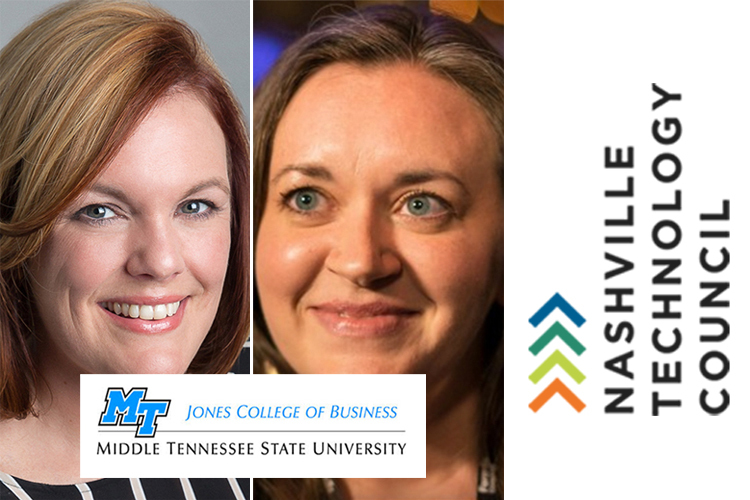 She also serves on the steering committee for the Nashville Analytics Summit, as a board member for Women in Technology Tennessee, and as a member of the NTC’s diversity committee. 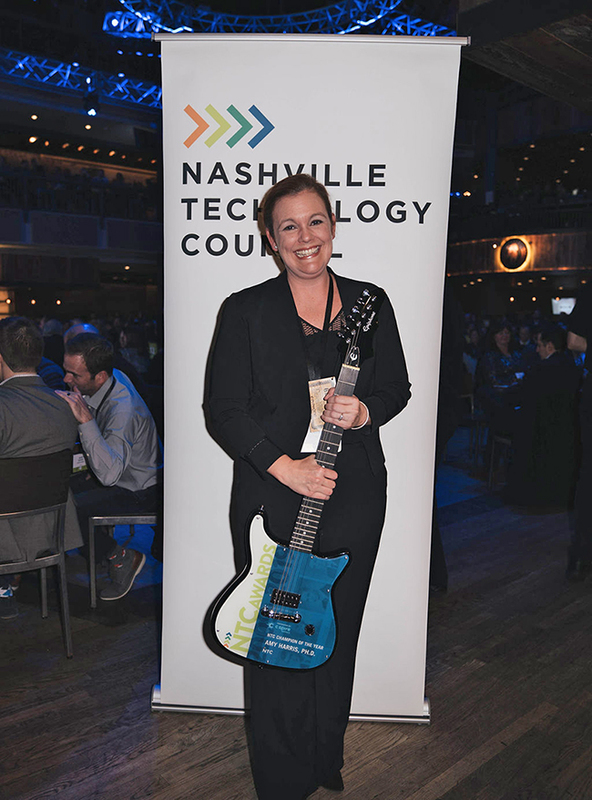 “The Greater Nashville tech community is like no other. That is why MTSU partnered with the NTC to establish the ‘Middle Tennessee Tech’ research program,” said the surprised Harris, adding that she was “honored beyond belief” to receive the award. The research program launched in 2018 with the release of the “State of Middle Tennessee Tech” report, which provided an overview of the local tech workforce as a whole as well as for the major occupation groups identified within the tech workforce. “We adopted a tailored definition of ‘tech workforce’ that is reflective of our local tech community,” Harris said. “This definition encompasses not only traditional tech occupations but also analytics occupations that lie at the intersection of tech, mathematics, and business. Yasui, a mother of three who went back to school to finish her degree, was very active in the MTSU computer science department as a student and graduated in December with a bachelor’s degree in Computer Information Systems and Analytics. “I love IT. It’s a fast growing, diverse community; it’s a fun community,” Yasui said after receiving the award. She said support from MTSU faculty such as Dr. Charlie Apigian, interim director of MTSU’s new Data Science Institute and former chair of the information systems department, was a key part of her academic journey. Apigian received NTC’s Community Leader of the Year Award last year. “I love that department. The faculty are great, they’re super supportive, super energetic and they make you have a love for what you’re doing every day,” Yasui said, adding that her advice to students in the Midstate area, regardless of discipline of study, to “just try” as they look to establish their careers. Harris said five publications are planned for 2019 as part of the research program, including four white papers focusing on the tech subspecialties of greatest importance to the local community: analytics, health care IT, information security and software development. Other MTSU connections at the NTC Awards included student Beth Grace Kinder, who also was a finalist for Student of the Year; MTSU Distinguished Alumni honoree Nic Dugger, owner of TNDV: Television, a finalist for the NTC Emerging Leader of the Year; and MTSU’s Women in Stem Center, which was a finalist for Diversity and Inclusion Initiative of the Year. For more information about MTSU’s Department of Information Systems and Analytics in the Jennings A. Jones College of Business, go to http://mtsu.edu/isa.